Welcome to Day 3! If you haven't read about the giveaway and the rules, click here. 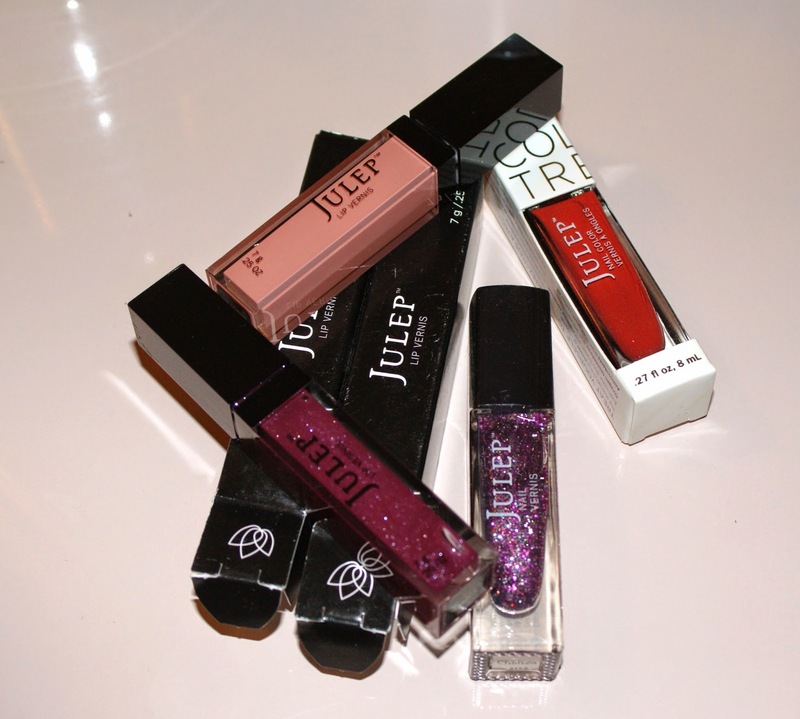 Day 3's giveaway prize is a quad of Julep prizes!! Up for grabs are two Julep lip glosses (Zinnia and Peony) and two polishes (Chelsea and Brielle)! Fill out the Rafflecopter widget below to enter! And check back tomorrow for the reveal of the Mystery Holiday Trio prize! Anything holiday related is always amazing! Perhaps some silver and gold glitter? Anything with fun Fall/Winter Christmas colors ! Holiday Indie Trio??!! I don't even care, it's going to be fantastic!!! Maybe Candy Lacquer or Shimmer Polish.